Monzón, January 9, 2019. 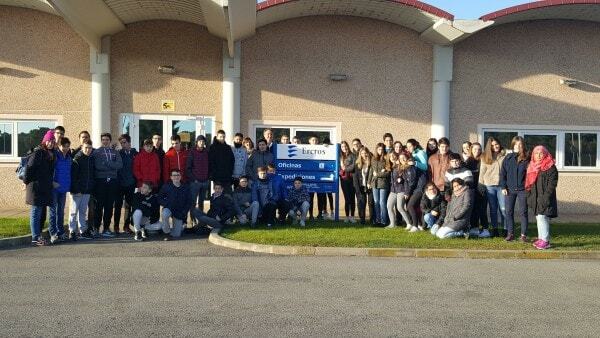 - A group of third ESO students of Huesca’s Salesianos School have visited the Ercros factory in Monzón. 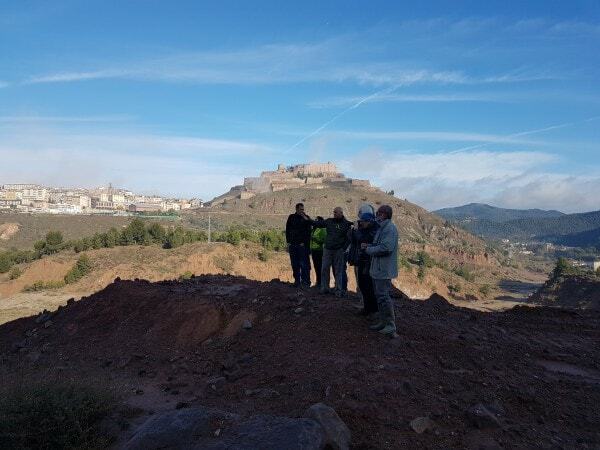 The visit is motivated by the work carried out by students about the population that grew the most in the 20th century in the province of Huesca and Monzón, when its population tripled in the 60s. The visit has been divided into two parts: in the first, students have taken a tour by Armentera, both for its industrial area and for its residential area. The second one was held at the Salesians School, where the head of Ercros Monzón factory, Rafael Mancho, and de head of plastics R&D&I, Belén Pascual, explained the causes of the industrialization of the city or the impact of the change from an agricultural economy to an industrial one. The factory of Ercros in Monzón produces PVC compounds and is the leader in researching new plastics that respect the environment.